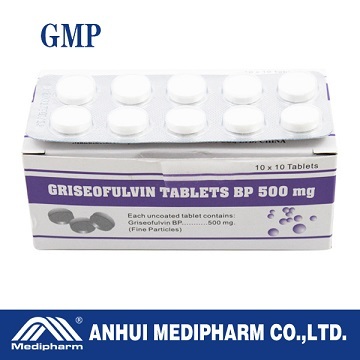 Indications: Griseofulvin is primarily indicated in conditions like Dermatophytic infections, Fungal infection, Parkinson’s disease. Contra-indications: This drug is contraindicated in patients with porphyria, hepatocellular failure, and in individuals with a history of hypersensitivity to griseofulvin. Adverse Effects: Adverse reactions of griseofulvin are uncommon. Nausea, diarrhea, headache, skin eruptions and photosensitivity are occasionally observed. Hepatotoxicity and neurological side effects may rarely occur.